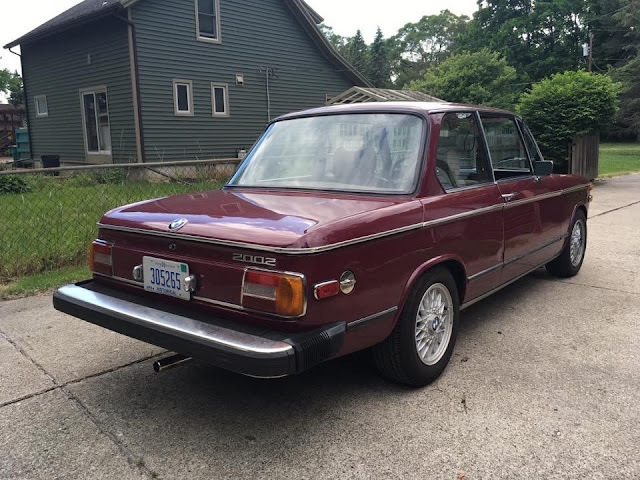 For all the people who were upset by the yellow BMW 2002 electric conversion with a high price tag we posted earlier this week, I want to apologize...and the best way to apologize is by posting a sweet and original 2002 with gasoline power. 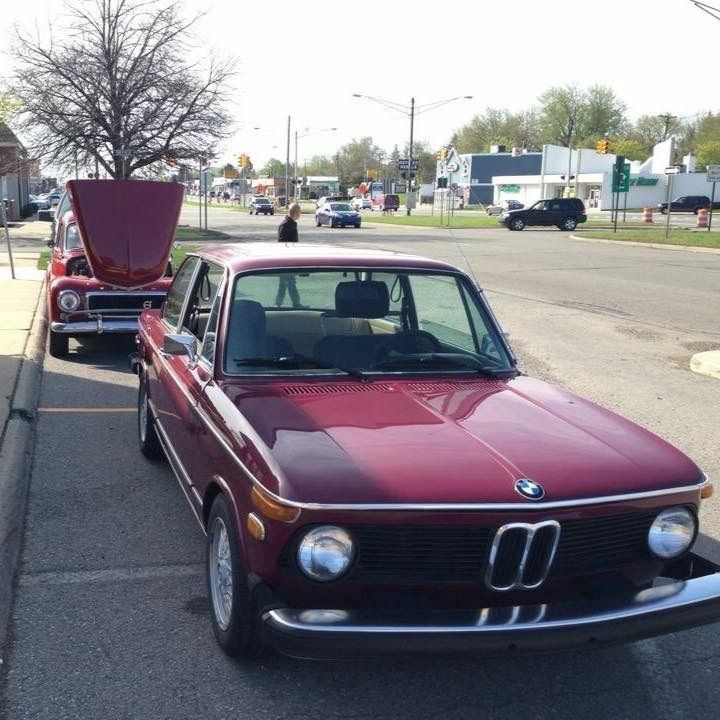 Find this 1975 BMW 2002 here on eBay bidding for $8,600 with 2 days to go, located in Farmington, MI. By the looks of the photos it appears that Detroit and its surrounding suburbs are coming out of the cold and miserable season known as winter....which means it is car selling season! Time to get yourself a fresh outta garage storage classic. Gasoline powered AND cheaper!? DT, you have restored my faith! I bet it has more than a 30 mile range, too. I'd rather have that sweet red 544 behind it.